What can Italians expect from the new populist government? I was interviewed by South African public radio SAfm this morning on the prospects of Italy’s new populist government. You can read my latest piece for Al Jazeera English on the newly formed populist alliance between the far right League and post-ideological Five Star Movement. ‘On the surface, the Five Star Movement and the League don’t have much in common. One was founded by an Italian comedian who talked of direct democracy, anti-corruption policies and a green economy. The other has its roots in a secessionist movement, calling for the wealthier north to separate from the “underdeveloped” south, and is currently pursuing an anti-migrant agenda. Check out my latest piece on the ongoing Zambian political crisis, published today in Al Jazeera English. “[Zambia] is the world’s seventh largest copper producer. This metal is essential to economic development in the global North and BRICS. While Chinese investment is growing, the main player in the Zambian mining sector is white capital from South Africa and the West. “Zambia, like the rest of Africa, needs a new deal to recover its stolen wealth parked in tax havens around the world. Big capital from the West and BRICS have coopted local politicians at the expense of the vast majority of citizens. The priorities should be nationalisation and redistribution programmes. Tomorrow’s general election in the UK will have an impact beyond the narrowing borders of the growing white nationalist parochialism that has infected Britain from left to right. A Tory victory would be a disaster, contributing to more instability and devastation in the global South, through wars, dodgy deals, and rapacious moves to protect British multinationals’ investment. Theresa May is the European counterpart of her close ally, Donald Trump: erratic, careless, fascist and racist. Neither of them can stand their ground when challenged in conversations lasting more than two minutes. May brings together the worst of white nationalism with the worst of neoliberal austerity. Her government would aggravate the epidemic of militant racism and hate crimes that has been spreading in Britain for some time now. In England and Wales, the most viable alternative to the Tories is Jeremy Corbyn’s Labour. What they offer is inadequate and their agenda has significantly turned right, especially on migration and security. But Corbyn would be a much better counterpart to soften the Brexit deal. His anti-war credentials will at least ensure that he won’t do anything rash to inflame an already explosive situation in the Middle East and North Africa. The Labour manifesto also mentions decisive action on tax havens, where British banks play a huge role and help Western corporations and rich individuals pillage Africa’s wealth. In the seats where Greens have a chance, it will be important to support them and have their voice represented in parliament. In Scotland, the Scottish National Party is the best bet. Unlike Labour, they have not betrayed their pro-migrant, anti-Brexit stance. Their push for an independent Scotland within the EU makes more sense than Brexit Britain going far right. Labour’s spectacular come back in the polls means that it is possible that the Tories will lose their majority in the House of Commons. An even better outcome would be if Labour, SNP, Greens and others will have the numbers to form an anti-Tory coalition government. A lot will depend on whether young people, who are overwhelmingly anti-Tory, will show up in numbers at the ballot box. If you have the right to vote in Britain, make sure you vote to stop the Tories. 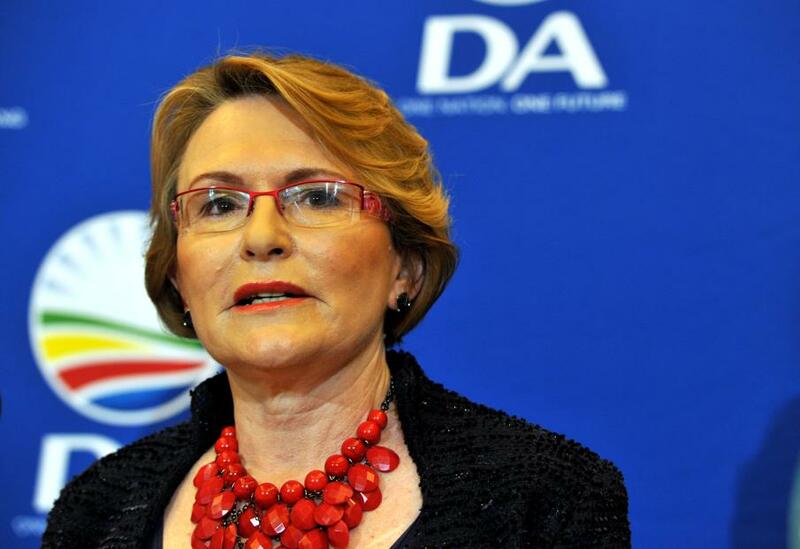 Check out my latest piece in Africa Is A Country on South African prominent white politician Helen Zille’s tweets in defence of colonialism. I talk about southern African whites and Western scholars’ involvement in spreading ideas about Western superiority. An imaginary conversation with the Labour leadership. Labour leadership: “It’s all Tony Blair’s fault”. Me: “What about your defeat to the Tories in Copeland in the recent by-election? Sure, Labour’s decline has been there for a while, but you held that seat since 1935, Tories went up dramatically, UKIP wasn’t really a threat…”. L: “It’s the Blairites’ fault”. L: “It’s a sign of the great victory of the working classes led by Jeremy Corbyn and a new radical agenda, it will be a socialist revolution, Stoke is the proof”. L: “It’s Tony Blair’s fault”. L: “It’s the Blairites’ fault, they are here to get us, no matter what”. L: “You said it, it’s a conspiracy, it’s Tony Blair’s fault”. L: “… and anyway, it’s Tony Blair’s fault”. L: “I have no time for you, the revolution is waiting. Bye”. The poor showing at Trump’s inauguration, and the massive turnout at the Women’s Marches, together with Trump’s popular vote defeat by nearly 3 million votes, prove that chasing Trump supporters is not only ethically problematic, but also strategically wrong. Trump did not win. He got into power thanks to the increasing fragmentation and disunity of its opposition, caused in no minor part by decades of neoliberalism and its co-option of large sections of the left. The way to fight Trump and the rise of Euro-American fascism is unity, that much is clear. We need a vision that rejects the unbridled rule of corporations and imperialist states over people’s lives, and the systemic racism and sexism that underpins the current world order. We should strive for models that preserve the planet from the threat of climate change, and stop the pillaging of natural resources and destruction of local livelihoods carried out to fuel an unsustainable and unequal global economy. We should build on the contribution of queer, feminist and Black activists that showed us that this movement can only be intersectional, taking into account how all forms of oppression and discrimination interact with each other in complex and non-obvious ways. Class is not a primary reality of capital that precedes all other identities, rather it intersects with them in a non-hierarchical fashion. But disagreement with those who continue to believe in the “primacy of class” should not lead to disunity in struggle. We can work together and map a common ground. We are led by those who have borne the worst effects of centuries of exploitation and discrimination, well before aggressive neoliberalism eroded the livelihoods of the Western middle classes: people of colour, queer and non-binary people, women, migrants, refugees, indigenous people, people with disabilities, low-income and precarious workers, the unemployed and the underemployed, and other oppressed groups, in no hierarchical order. We should engage in tough and frank dialogue with leaders like Bernie Sanders and Jeremy Corbyn. They have in different ways softened their stances against nationalist and racist arguments for economic protectionism, in the hope that a compromise would be possible to steer some of the voters who support Trump and the far right towards a progressive alternative. Sanders and Corbyn are mistaken, but we want them to understand this, reverse their positions, and contribute to the emerging anti-Trump movement. There are a few things we don’t need to do: we don’t need to empathise with Trump supporters and far right voters in Europe; we don’t need to reach to them; we don’t need to give more airtime to their views. It’s up to us. We can claim the democratic right to express our firm rejection of xenophobic and racist nationalism, or let people like Trump and Farage call the shots. We don’t need their voters to win in the ballot box, but they will be welcome if and when they realise they were wrong. In the world we want to live in, there is space for everybody, including those who voted for Trump. Like everybody else, they will benefit from the progressive policies and collective actions we will deploy in the fight against Trump and his allies.